Don't forget that it is only just over a week to the next Fathers' Day Lunch at Dapto Leagues Club on the 18th September. Tickets will still be on sale at this meeting but it is your last chance to get one. They are still only $15. The Concert Group's Fathers' Day Concert played to an enthusiastic, packed house at Heininger Hall on Monday afternoon. The show featured some great new songs but still contained all the ingredients that has made it so popular in the past; there were comedy skits, poems, a singalong, wonderful individual acts, a delicious tea and, of course, the massive raffle after the show. If you haven't been to one of these concerts before make a note of 24th November 2014 in your diary. At 1.30pm the group will present their fantastic Christmas Concert. Don't miss it! 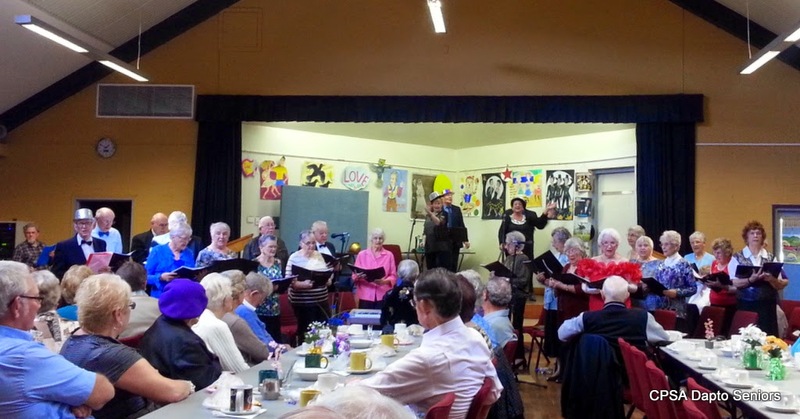 The concert group is always on the look out for new members so if you would like to take part and have a great time while you do - come along to a meeting for details of how, when and where to join, you'll be made very welcome.